'Mad Men' Creator Says Writing A Novel Is Nothing Like TV Writing Matthew Weiner's first novel is Heather, the Totality. It's a character study of a well-to-do New York family — and a violence-prone construction worker who becomes obsessed with their daughter. 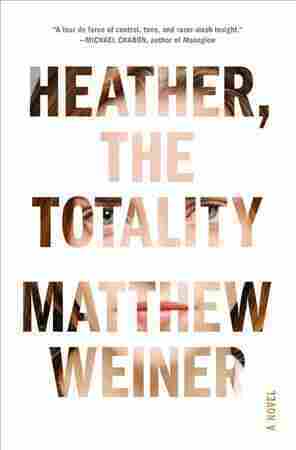 Weiner got the idea for his first novel, Heather, the Totality, during a visit to New York City's luxurious Carlyle Hotel. And we met there recently, in a quiet nook in the hotel's restaurant, to talk about the book. Weiner says he always wanted to be a writer, but even though he loved reading novels, the idea of writing one was intimidating. Instead, he wrote for sitcoms. "I wrote the Mad Men pilot while I was working on a sitcom," he tells me. "I didn't enjoy the job that I was on, and I thought that it was limiting in many ways, and [so] I just wrote Mad Men at night to see what I could do — and because I got advice from someone who said 'if you can write, you can change your life.'" Writing that pilot did change his life. Someone got it to David Chase, the creator of The Sopranos -- who then hired Weiner as a writer. "Once The Sopranos was there, everybody got to think differently about TV, and I got to be there on the inside watching this man work and realizing that his measure was that if it was interesting to him, and to us in the room — our opinions did matter — then it would be interesting to an audience. Not every person on the planet, but an audience. And that whole model changing allowed something like Mad Men to happen." 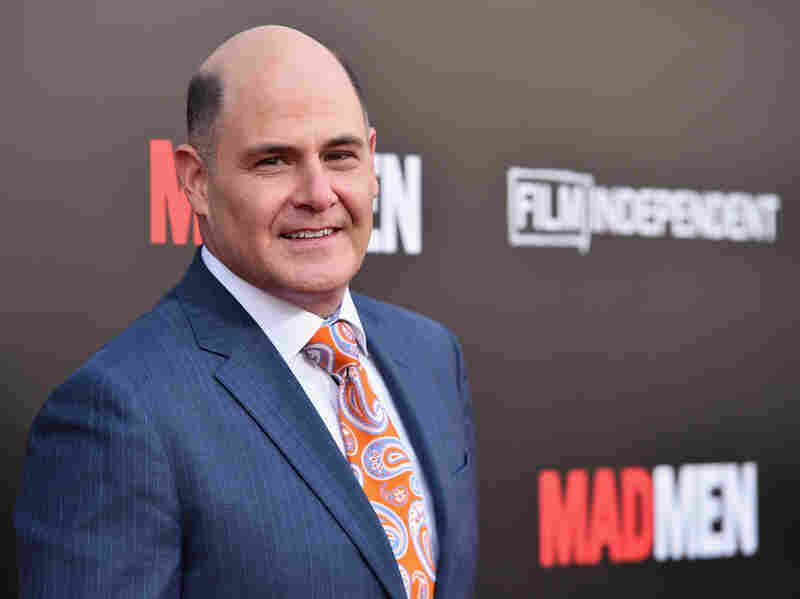 Matthew Weiner attends the Mad Men Live Read at the Ace Hotel in Los Angeles. Mad Men brought to life the misogynist, heavy-drinking, sometimes creative, often self-delusional world of advertising in the 1960s, and with it, Weiner created two of television's most memorable characters: Don Draper and Peggy Olsen. While Weiner is currently working on a new series, The Romanoffs, he wrote his novel between TV shows, which he says was a completely different kind of experience. "A screenplay is a blueprint for a film, but this novel, the product is the end result. What you are writing is the thing that it is," Weiner says. "It sounds really, like, philosophical but it's not. I can have one of my characters go on the moon, and it doesn't cost anything. I can see them as a child for a sentence, and I don't have to build a set for that. I don't have to cast it; I don't have to scout it. It is what it is." He loved having the freedom to explore the inner life of his characters, and he loved playing with language in a way that's not possible in television. "You can really revel in the words when you are writing prose. It's your job to say things, not in a complicated flowery way, but in a way where the words are going to give people some pleasure, some surprise, just in the prose itself. And I really enjoyed that experience. That was liberating." Heather, The Totality is a slim novel that begins simply, introducing readers to a perfectly pleasant though unremarkable couple, Mark and Karen Breakstone. They live in one of the well-appointed apartment buildings near the Carlyle Hotel — and Weiner suggested we go for a walk in the neighborhood that inspired the book. "You know, so much of my life as a writer is made out of observing and eavesdropping," he tells me as we walk along. "And I was just walking and I happened to go down a street and walked by this building. And before I walked by the building, I saw this girl." She was a young girl, Weiner says, about 15, very pretty, kind of innocent looking. A construction worker was standing nearby, he says, "and I sort of saw her walk into the building, and right at the moment this guy looked at her, and it really turned my stomach. It made me scared." Weiner describes the look as "something between sexual and homicidal at the same time. And I just felt like, that girl is not safe in that building. It was not a construction worker leering at a woman — not that that's OK, but that's not what it was — it was something scarier, and she was completely oblivious." ... at a certain point as a reader, I'm like, why am I putting myself through this? But it is entertaining. It's our job to make you anxious. As Weiner walked down Park Avenue, he started thinking about what it would be like if the girl's dad had been there. He knew almost right away that he had the beginning of the story, and he began creating the characters in his mind. "Who's the dad? And who are the mom and dad that made that girl? Why is that guy interested in that girl, is it just because she looked that way? What if she was amazing? What if she had this empathic quality that makes her vulnerable, made her oblivious, right? ... I know from real life a couple of cases of stories where empathic people are more vulnerable to random violence." The story has a sinister quality. The complacency of a well-to-do couple, obsessed with their pretty, perfect daughter, is threatened as their paths cross unknowingly with a sociopath. Weiner fills the story with tension, building towards a surprising climax. He says he isn't exactly sure why, but he knows people like stories that make them anxious. "I think it's a weird thing, and I can say this as an audience member also — at a certain point as a reader, I'm like, why am I putting myself through this? But it is entertaining. It's our job to make you anxious." Weiner has no plans to leave television, but now that he's gotten a taste for writing a novel, he says he can imagine doing it again. This story was edited and produced for radio by Rose Friedman and Andrew Limbong, and adapted for the web by Sydnee Monday and Petra Mayer.